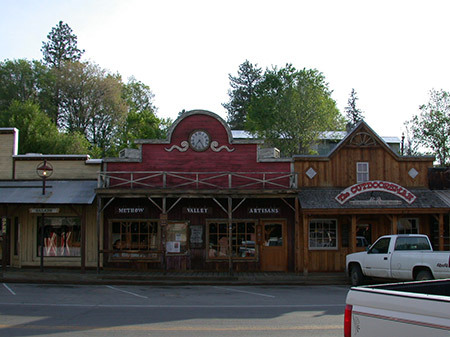 The Town of Winthrop carries out a Westernization program to promote the economic and general welfare of the community by enhancing the overall visual attractiveness of the Town through a thoughtful and consistent replication of history, design and appearance of a inland-Pacific Northwest frontier town as it might have looked in the late nineteenth century. Winthrop’s westernization standards and criteria promote and preserve attributes of a western town that may have existed between 1850 and 1900. As explained in the comprehensive plan, structures and building elements consistent with the western theme form a key and indispensable part of the overall visual attractiveness of the Town and is an essential component of the community's economic development effort. Combined with Winthrop's location in a particularly scenic area attractive for recreation, the Westernization program contributes importantly to the economic well-being of the community and is in the public interest to maintain and improve. The Westernization Design Review Board (WDRB) is authorized to administer the Westernization program.